Political instability complicated by water security threats compromises America’s ability to navigate global security challenges. The state of global security and stability appears more precarious now than at any time since the end of the Cold War. Realignment of diplomatic alliances, the daily specter of terrorism somewhere in the world, and an inward turn by the governments of two of the world’s major powers, the UK and the United States, are contributing to an atmosphere of isolation, suspicion, frustration and distrust. However, global-scale threats to security, environment, and human well-being require the opposite approach: international collaboration through strong alliances among reliable and steadfast partners. There is little concern at present about the long-term stability of the world’s economic powers (in particular the G8) in an era of increasing resource instabilities. Battling isolated security threats wherever they originate requires cooperation and actions by vulnerable states. The social, political, and economic stability of these states is essential for maintaining global diplomatic and collaborative networks. However, their internal struggles, including battles over basic resources like water, food, and energy, are threatening this stability. Further, climate change, a newly-emergent and uncertain wild-card, could have unpredictable effects on fragile ecosystems, jeopardizing water and energy resources and endangering food availability. Water scarcity, along with air, water and soil pollution, deforestation, and other human activities with environmental consequences, should be regarded as a threat to safety and security – within not only vulnerable states but also the world’s major economic and military powers. Regional skirmishes have the potential to become international crises in a world of shifting and unstable alliances. Conflicts in politically or economically disadvantaged regions can have unintended or unexpected consequences in advanced countries. The Middle East, a region now enduring significant political instability, is beset with water security challenges. According to the Pacific Institute, the Middle East and North Africa region has experienced more than 20 water-related conflict events since 2012. One example is Syria’s growing humanitarian crisis, which is exacerbated by water shortages and deteriorating water infrastructure that has suffered repeated military assaults. In 2015 alone, the water supply to Damascus was cut off by the Syrian rebel forces, Aleppo’s water infrastructure was sabotaged by military forces, and the so-called Islamic State cut water flow through a dam upstream from Ramadi in an apparent attempt to weaken the Iraqi resistance. Water scarcity is being used as a battering ram for political and ideological causes, and the effects are spilling into the developed world via accelerating involuntary migration. Security issues, as outlined by Barnett (2001), include water scarcity and pollution that limit the development of domestic energy, industrial, agricultural and environmental sectors, the loss of territory due to climate change-induced sea level rise, risks borne by water-dependent industries that may lack the ability to comply with environmental protocols and forced migration due to droughts and other extreme weather events. The latter issue is echoed in a 2012 report by the Center for American Progress, which argued that the “United States and the international community [must] confront climate and migration challenges within an increasingly unstructured local or regional security environment”. In the 15 years since the publication of Barnett’s report, events such as the Syrian refugee crisis illustrate how water scarcity, natural or man-made, can be one contributing factor among many in escalating political and social tensions. As such, water management in vulnerable regions is becoming a developed country concern. Water scarcity and degradation have both direct and indirect impacts. In a direct sense, extreme weather events such as floods and droughts, especially in areas lacking resilient and robust governance, can cause residential displacement, threaten livelihoods and disrupt economic and commercial activities. These factors can also lead to socio-political destabilization. Directly and indirectly, droughts and floods can undermine domestic peace and security, destabilize specific countries or regions, affect economic and political collaboration among global partners and contribute to social and economic disruptions in several countries, including the United States. Consider floods. They now cause more damage globally than any other form of natural disaster. According to the United Nations, between 1995 and 2015, 157,000 people died and another 2.3 billion people were affected by floods. The current global average annual flood loss is estimated at $104 billion. Countries incurring highest flood losses are China, followed by the United States and India. These losses do not include disruptions to the global supply chain, which have not yet been properly estimated. With global supply chains, disruptions in one country can create serious economic problems in another. For example, the 2011 flood in Thailand seriously disrupted computer hard disks availability in the United States since Thailand accounted for nearly one-quarter of the global production. Advanced countries such as the United States rely in part on a network of smaller countries to protect its international and economic interests. Domestic security therefore depends on the social, political, and financial stability of allied countries. Related to these factors are environmental sustainability and within that the reliable supply of water. Countries experiencing water supply instability, both in terms of quantity and quality, may be less responsive security collaborators, compromising the related interests of larger allies. According to a report by the United States National Intelligence Council, the prospect of state failure resulting from water insecurity will, as a “distraction” to ally governments, compromise their ability to help manage global security threats. In light of such threats, the United States committed in 2004 to including funds for water security as part of foreign aid, focusing on infrastructure, chlorination, and improved access, among other items. Programs to support developing countries that contribute to peace and stability have also been adopted. Passed in 2005, the Senator Paul Simon Water for the Poor Act (WPA) prioritized the provision of safe water, sanitation and hygiene in foreign aid programs. 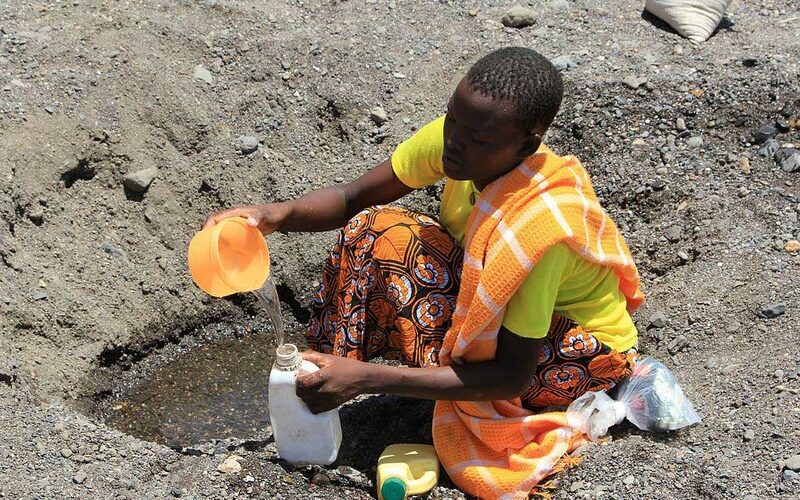 The Obama administration issued a series of directives and plans channeling more government attention towards climate change, a factor contributing to water supply instability. Further, executive Order 13677 (2014) addressed climate-resilient international development by establishing protocols to integrate climate resilience into aid programs. In late 2015, the administration issued a presidential memorandum establishing an organizational framework to manage climate change-related threats against national security. While the debate about the origin of climate change continues in political arenas, there is a general scientific consensus about rising temperatures and associated impacts—including water supply and agricultural production instabilities. As such, the United States should view water as an emerging non-traditional security issue. This mandates not only direct provision of aid but also support for and facilitation of multi-lateral agreements in transboundary rivers—that is, those rivers that are shared by two or more countries—to manage and allocate water between these countries. It is an important issue since there are 276 such rivers in the world. Nearly 40% of the global population lives in their catchment areas. Water insecurity can generate opportunities for collaboration among parties that might otherwise be unwilling to cooperate. For example, a United Nations Environment Programme (2004) report argued that “conceptualizing water stress in terms of conflict brings the security actors to the table”. Water sustainability is not an issue that blustery threats, political posturing, or diplomatic coercion can adequately address. Methods of influence used by global powers for a variety of domestic interests have overlooked water resources in vulnerable states, compromising security within and beyond the borders of these states. A new model of governance is needed that de-politicizes water governance and directly involves citizen-users in policy change. This requires awareness campaigns about the risks of water vulnerability—not a difficult task given the numerous examples of water-induced strife and unrest throughout the world. Nevertheless, Syria is the only case that has consistently occupied global headlines, in part due to its connection to geopolitical instability and its impacts on wealthy European countries because of the refugee problem. Threats to domestic security may be the only portal through which water scarcity achieves the political salience it deserves. According to the previously cited report by the Center for American Progress, “because the direct link between conflict and climate change is unclear, awareness of the indirect links has yet to lead to substantial and sustained action to address its security implications”. To whom should such an awareness campaign about the global water-security nexus be targeted? The citizens of both vulnerable and powerful countries can play a part in pressuring governments to adopt a collaborative approach to water scarcity and related security threats. In a world where authoritarian governments are withdrawing from the global community, the power of collective strength to solve the universal problems of humanity—poverty, disease, security, and others—is failing to be appreciated. The countervailing force of international connectivity is a viable answer to political isolationism. Open societies and concerned individuals living under insular governments should strengthen their resolve to support such networks. This includes groups of leaders, scholars, and change agents studying threats to human well-being and advocating for policy resolutions. Three steps are essential for addressing the growing threat to global security caused by water scarcity, excess or pollution. First, global political and development leadership should treat water crises with similar level of urgency as refugee crises. Regardless of the circumstances, consistent supply of adequate quantity and quality of water for domestic, industrial and agricultural uses and for energy production should be seen as priorities for the maintenance of social stability. Second, good practices in water-advanced countries should be scaled up, disseminated and institutionalized within collaborative structures. Such practices could come from even developing countries. For example, many of the performance indicators of Phnom Penh water utility are significantly higher than London or Los Angeles. This could be achieved in part through the introduction or reinforcement of global standards for multi-party water management and allocation. Finally, there must be a consistent and coherent public information campaign to generate awareness about the water-security nexus. The challenge of water security in unstable regions should also be integrated into broader narratives about harsh living conditions, a strategy that places the issue within the ambit of the development community. Treatment by the media of ethnic and religious strife, public health degradation, economic concerns, and loss of employment can be a template for generating more awareness about water supply threats. Government and academic reports, often wonkish and unnecessarily technical, and thus unreadable for an average person, are failing to move the needle on this issue. From applied academe to the global commentariat, clarifying the connection between water in one country and security in another—through convincing evidence in punchy language—is a crucial task. Ultimately, however, the three proposed steps are insufficient without political will. It is imperative that global leaders publicly acknowledge and address the water-security nexus in the coming years. In the words of author and environmental activist Margaret Atwood in a December 2016 BBC interview, “We are smart enough, but we need to be more motivated politically.” Intellectual, technological and administrative capabilities should not be squelched by political apathy. Kris Hartley is a Lecturer in the Department of City and Regional Planning at Cornell University. He is also a Faculty Fellow at Cornell’s Atkinson Center for a Sustainable Future and a Nonresident Fellow for Global Cities at the Chicago Council on Global Affairs. He holds research appointments at the Center for New Structural Economics at Peking University and the Center for Government Competitiveness at Seoul National University. His work focuses on urban policies for sustainability and resilience. He received his PhD in Public Policy from the National University of Singapore, Lee Kuan Yew School of Public Policy, in 2016. 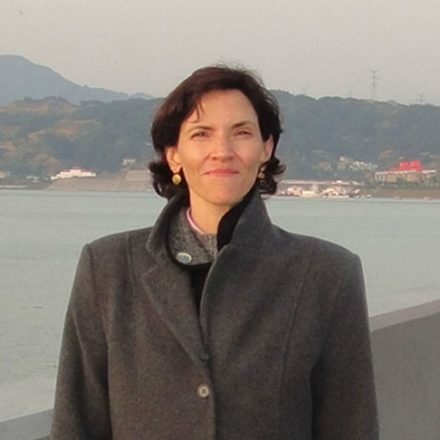 Cecilia Tortajada is Senior Research Fellow at the Institute of Water Policy, Lee Kuan Yew School of Public Policy, National University of Singapore. The main focus of her work at present is on the future of the world´s water, especially in terms of water, food, energy and environmental securities through coordinated policies. She has been an advisor to major international institutions like FAO, UNDP, JICA, ADB, OECD and IDRC, and has worked in countries in Africa, Asia, North and South America and Europe on water and environment-related policies. She is a member of the OECD Initiative in Water Governance, and is editor of the book Increasing Resilience to Climate Variability and Change: The Roles of Infrastructure and Governance in the Context of Adaptation (Springer, 2016). She is a co-editor of the book Water Security, Climate Change and Sustainable Development (Springer, 2016), and of the International Journal of Water Resources Development. 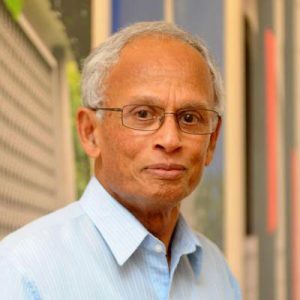 Asit K. Biswas is Distinguished Visiting Professor at the Lee Kuan Yew School of Public Policy, National University of Singapore, and founder of the Third World Centre for Water Management in Mexico. He has been a senior advisor to 19 governments, six heads of United Nations agencies, the Secretary General of OECD, and also to many other major international and national organizations. He is a Past President of the International Water Resources Association, and has held important positions in several major international water and environment‐related professional associations. He is a co-editor of the book Water Security, Climate Change and Sustainable Development (Springer, 2016), and of the International Journal of Water Resources Development.